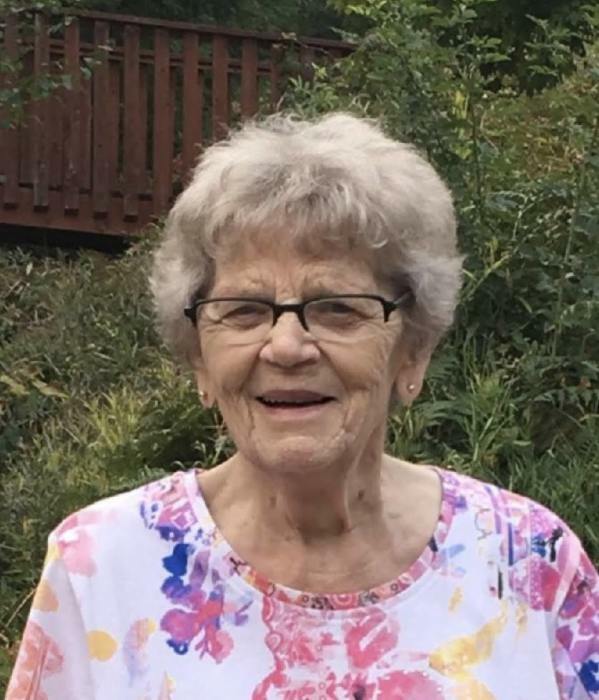 Obituary for Catherine Frances (Voldock) Beach | G.F. Oliver Funeral Chapel, Ltd.
BEACH, Catherine "Kay": July 17, 1927 - January 23, 2019. Catherine Beach (Voldock) passed away at the age of 91 years. Catherine was born and grew up in a Polish immigrant community in Renfrew County, Ontario. Her mother Frances died when Catherine was only five years of age. Her father John never remarried so Catherine and her siblings grew up during the depression and WWII, living very close to the land at Round Lake, Ontario. As a teenager Catherine moved to Ottawa where she met her future husband Grantlin. They lived together in Ontario, Quebec, Germany, Saskatchewan, Alberta and BC. When Grantlin died in 1974, Catherine was left a single mother. She raised her then very young daughter Terry (five years) while working as a hospital cook in Kelowna, BC. She retired in 1989. In retirement Catherine cared for her home in Kelowna and traveled to visit family in Ontario, Alberta and Nova Scotia. Some years, particularly early on in retirement she went to California, Mexico and Hawaii in the winter. Catherine sold her house in 2014 and moved into the Fernbrae Manor Retirement Community in Kelowna where she enjoyed good company and a host of organized activities. In 2017 she moved to Creston, BC to be closer to her loving daughter Terry. Catherine was a quiet but determined person who was well regarded by those who got to know her. She was a considerate neighbour and a good friend who took great pride in self-reliance and in keeping a neat and orderly house. Catherine enjoyed an hour or two in the casino now and again, always going with a set amount she was willing to lose and often returning with a little more. She liked to grow food, particularly walnuts and vegetables like tomatoes and cucumbers that she enjoyed sharing with family and neighbours. She will be greatly missed. Catherine was predeceased by son Barry (Bergen, AB); husband Grantlin Beach; brothers Dominic and Jerome; and sisters Jean Pasco, Bernice Healey and Rita Hummel. She was the dear mother of Terry, Creston, BC, and Harry, Hebbville, NS; loving grandmother to Nicholas, Christy, Daniel, Brandyn, and Alan (deceased); great-grandmother to Cashis, Jace, Ethan, Caelan, Lily, Emma, Clara, Colin and Sofia.